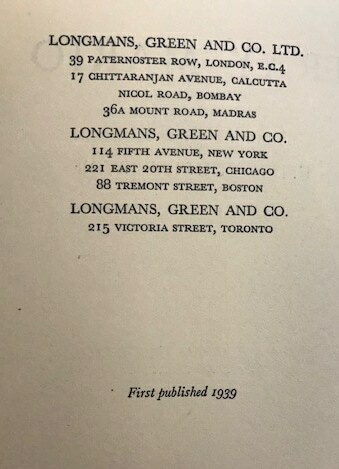 A first edition, first printing published by Longmans in 1939. A near fine book without inscriptions, complete with Clare Leighton woodcut included. In a near fine unclipped wrapper with a light tape burn to each flap. With the rare band.